Hey guys tape posting and as you can see from the pic cazmo has updated majorly!! If you click on primary games or just jared it will bring you to a party!! The primary games one is a beach party and the just jared one is like a dance club!! Its super cool!! 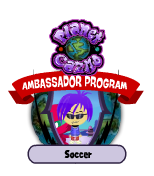 Just Jared and primary games are now partners with planet cazmo also!! So go on and check out the updates right away….!!! !